To follow up on my blog post on May 16th, the market is continuing to go crazy. All the listings that I earmarked 2 weeks ago: 2500 Ruhland, 2204 Plant, #A and 1933 Gates Ave, #B have all gone into escrow. 2500 Ruhland was on the market for a total of 7 days before it went into escrow. High tension wires not a deterrent; this home will sell for full price or over asking. 2204 Plant Ave, #A is in escrow after 24 days and 1933 Gates Ave, #B sold for $968,000 ($19,000 over asking). More and more 4 bedroom town homes in North Redondo are hitting the $900,000 and higher mark. We’re experiencing a quick and steep increase in prices. Hopefully, it will encourage more people to put their homes on the market in order to meet this pent up demand. 1909 Morgan Lane, #A is another test of the market. This is a 4 bedroom detached town home (front unit) that came on the market today. It’s a clean 1992 build with some updates. It doesn’t have the beautiful detailing that some of the newer town homes have. And the bathrooms are not redone; they have the original tile counters. The sellers are asking $811,000. Are buyers so desperate that this second tier (in quality) town home will be bumped into the $800s? Or is there a limit to their madness?! We shall see. What I can tell you is that many buyers are frustrated because they feel themselves being priced out of the market. I tell my clients who have missed out on a number of properties (and they have been aggressive in their offers) that they just need to stick with it. Everyone is feeling the pain; it’s not just them. It just takes time. The good news is that even though prices are going up, interest rates are still extremely low. And increase in price has less impact on your monthly payment, then an increase in price does. There is also the option to look for properties that may need some more work. You can buy something less expensive and then remodel it to your tastes. And these properties may have fewer people bidding on them since they are not turnkey. 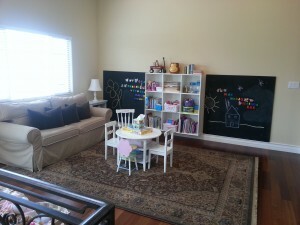 The landing on the second floor is transformed into a comfy family room and children’s playroom. 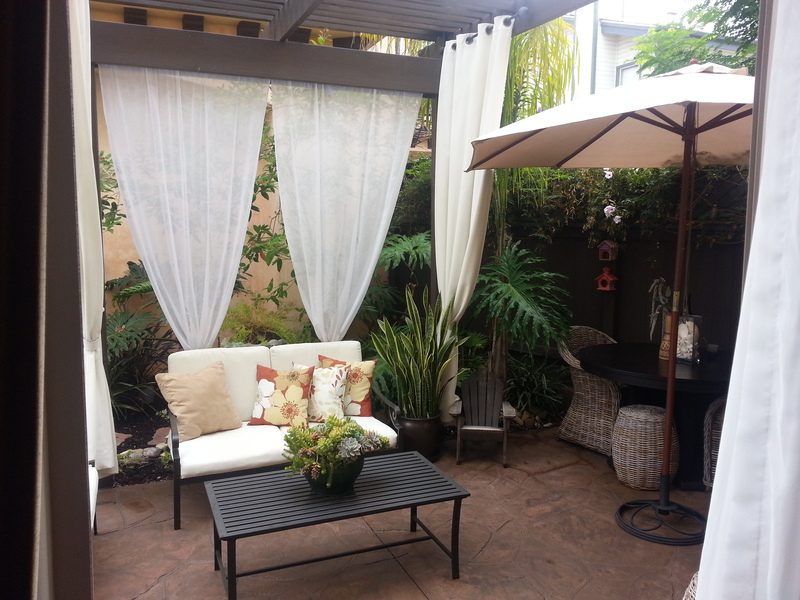 A lovely, intimate setting is created with a simple pergola (overhead lattice) and a few drapes. We had Brokers’ Open today in Redondo Beach. There were a decent amount of things to see! Such good news when we have so many buyers competing for properties. My favorite listing of the day was 2018 Voorhees Avenue in North Redondo. It’s a 2006 built 4 bed/3.5 bath detached town home. It has beautiful details throughout. 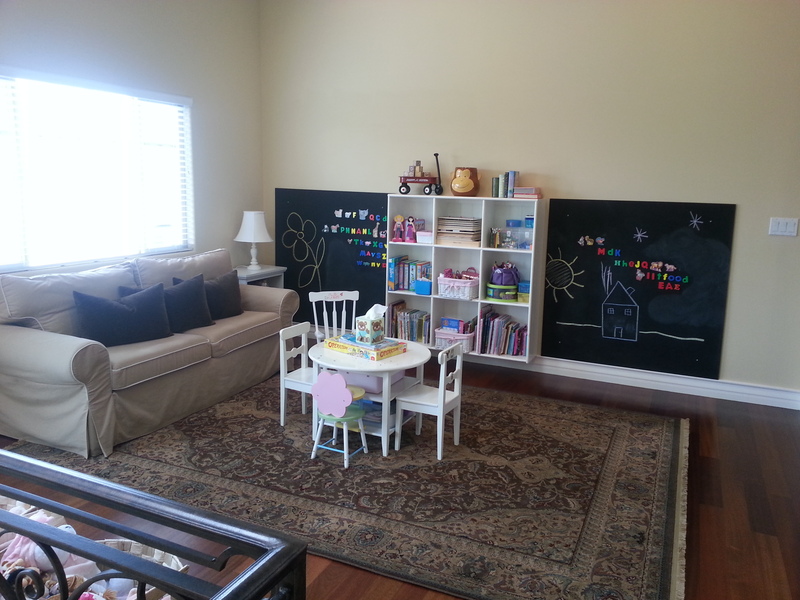 There is a family room at the top of the stairs (which makes all the bedrooms slightly smaller, but with the 2400 sq. feet the rooms still feel spacious). There are also 2 bathrooms in the hall at the top of the stairs which is unusual for this floor plan. The master bathroom is well laid out. There is a fireplace in the master and in the living room. And the backyard has a lovely patio with a pergola that creates an intimate, inviting space for entertaining. This property is listed at $899,000 and should move pretty quickly. The well recognized fencing has just gone up around the small 1967 built home at 2210 Robinson St in Redondo Beach. Just purchased for $505,000 which is, effectively, lot value, the owner/builder is going to tear it down and build a brand new single family home. This is a 5,000 sq. foot lot, zoned R-1. Redondo Beach will only allow a single family on this property which is largely the case up and down the south side of Robinson St. The north side of Robinson has larger lots and therefore town homes greatly populate this side of the street. Construction is scheduled to take approximately 7 months and the finished product should be ready by October 2013. 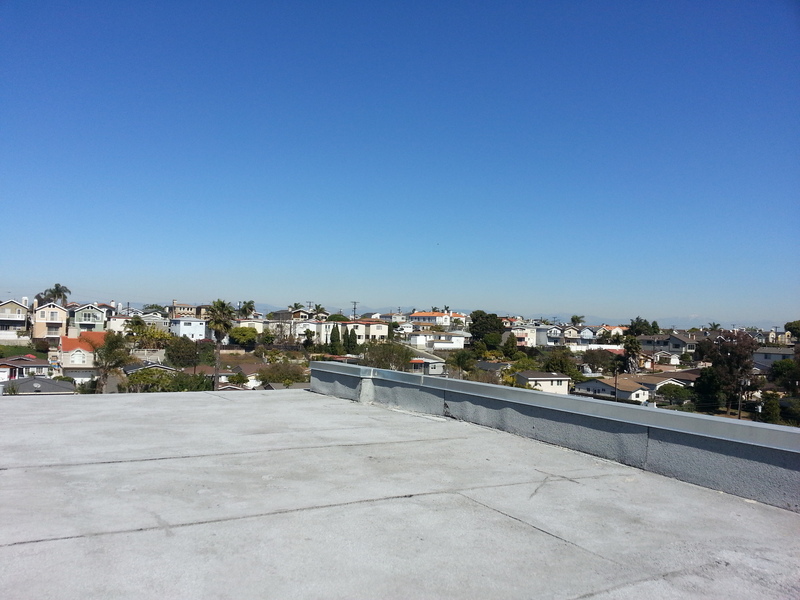 Beautiful View of the mountains and LA from the Rooftop Deck! New Manhattan Beach Listing Not on the Market Yet! I am putting a house on the market after the holidays. It’s a single family in the Hill Section of Manhattan Beach. 4 beds. 2 baths built in 1960. It has 1,958 sq feet and is on a 40×144 lot. It’s priced at $1,350,000. This is an incredible opportunity it get into the Hill Section. It’s a mid-century modern house or a “post & beam”. It has great lines and offers a fabulous footprint to refurbish. To top if off it has spectacular city views. Please call me if you would like to see this property. I can set up an appointment even before it’s officially on the market.